Keonjhar: Craze for selfie took another life today. A +2 Science student from Madhupatna, Cuttack lost his life when he fell into deep waters of Bhimkund on Sunday. The teen was identified as Rohan Mishra hailing from Sai Siksha Kendra in Madhupatna, Cuttack. He was a +2 Science Second Year student. While taking a selfie Rohan lost his balance and fell into the tricky waters of Bhimkund. 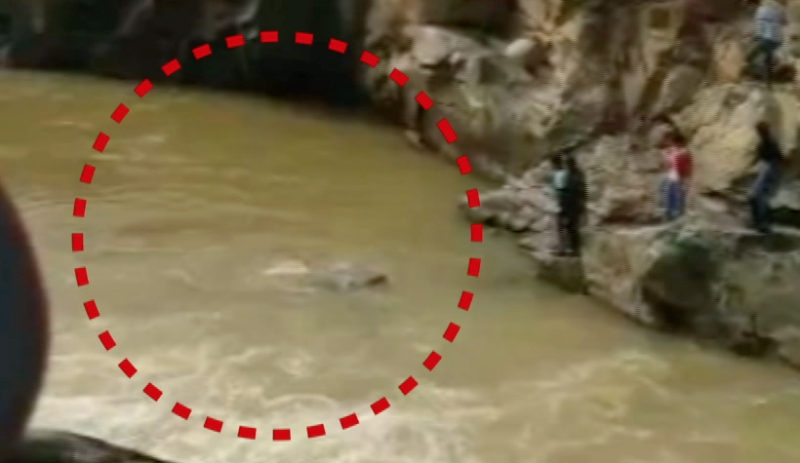 The current was too strong and Rohan could be seen struggling in the video recorded by another tourist at Bhimkund. His body is yet to be recovered. Bhimkund is a tourist place located on river Baitarani in Patna block of district Keonjhar.